Strong teeth will make you more confident, because free from bad breath and lack of PD because you do not loose a smile. For that some of us even perform dental care at a cost that is not cheap. Care is taken to get the teeth clean, healthy and strong. Turmeric contains antibacterial and anti-inflammatory properties that help maintain healthy gums and teeth free of bacterial infection. Turmeric is an effective mouthwash to remove plaque and prevent gingivitis. Guava leaves are effective in the treatment of periodontal disease. As an excellent antiplaque, antimicrobial, anti-inflammatory agents and antioxidants, guava leaves helps keep teeth and gums strong. Leaf chewing seeds every day, to get healthy and strong teeth. In addition to healthy and good for slimming, green tea also has benefits to strengthen the teeth. Natural fluoride, polyphenols and catechins in green tea can destroy the bacteria that cause tooth decay, cavities and gum disease. It also prevents bad breath. Basil is good for oral health. Basil leaves works as an excellent mouthwash and oral disinfectant. This can help destroy germs and bacteria in the mouth that are responsible for dental cavities, plaque, bad breath and more. 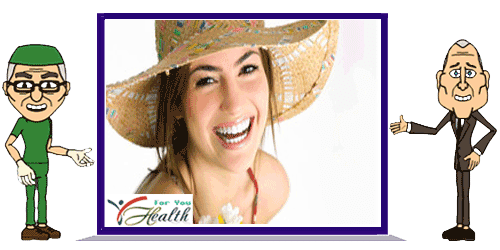 Thus 4 natural ingredients that you can use as a potion to strengthen the teeth. Good luck and hopefully useful.